Sixteen-year-old Hamilton Dinger leads a charmed life. He's got the grades for the top of the class, the abilities of a star athlete and Tetris player, and the charisma to get away with anything. Everything seems to be going along perfectly, including his plans to ask out Gwen Kessler, as he enters into tenth grade at Apollo Central High School. Everything, that is, until a meteor crashes into the city, releasing the Seven Deadly Sinisters and their leader, Orpheus, from their celestial prison, and awakening Hamilton's longtime dormant supernatural abilities. 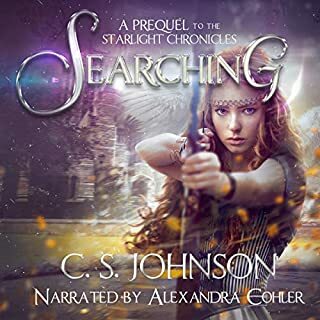 Suddenly Hamilton finds himself reluctantly allied with his self-declared mentor, Elysian, a changeling dragon, and Starry Knight, a beautiful but dangerous warrior, as they seek to protect the souls of Apollo City from the Sinisters and their evil intentions. Can Hamilton overcome his ignorance and narrow-mindedness to see what is truly real? Can he give up his self-proclaimed entitlement to happiness in order to follow the call of a duty he doesn't want? More importantly, will he willingly sacrifice all he has to find out the truth? This book was really interesting, in the way that it made me feel, which I'll get to in a bit!! So this is focused on Hamilton Dinger. He is a above average student whose life is going good... that is till a meteor crashes into his town and awakes some dormant powers he had, but it also awakens other things, and now Hamiltons life is forever changed!!! Whether for the better you will have to read it and see. I devoured this book, which I'm quite surprised with because starting out I love/hated the MC. Hamilton. He is so arrogant, self absorbed and obnoxious that it was hard to connect with him, but he is also incredibly likable too. I honestly didn't know what to think of him, but as the story unfolded you get to see who he truly is, which isn't always nice but he had a certain charm and charisma that made him.... interesting. My feelings were all over the place when it came to him. Even though the plot seemed very mundane, most of it is about Hamiltons life before the meteor, it was relatively fast paced and held my attention throughout. I was intrigued enough with everything happening to read it over the course of a day, which is awesome because it's at over 6 hours, it's pretty long. I just found it so hard to put down and listened to it late into the night!! 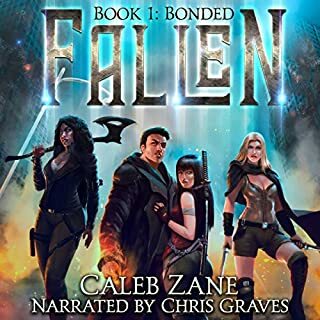 In all, a really good listen and I'm looking forward to diving into book 2 soon. Nicholas Santasier did a good job. He was easy to listen to and read it well, I just found he lacked in the performance part!! 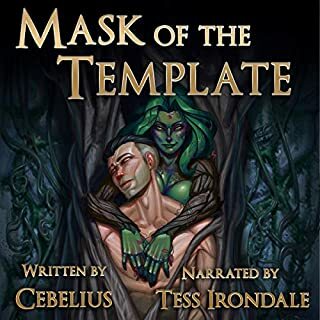 It's important that a narrator can draw you into the story by his tones, voices and cadences, but this narrator lacked the ability to really make the world come alive. He needed to perform more and add more personality to the characters and world. ...but it seems like he was designed that way on purpose, so I'm not sure how to feel about Hamilton. Self-centered to the extreme it seems like the series has lots of personal growth planned for him and I saw the start of it in this book. There are some interesting elements to the world this book is based on but I'm still finding it confusing, I'm not sure how it's all supposed to work, I'm assuming later books will shed more light on this, but I find it a bit frustrating. The writing is vivid and there is lots going on, but there's also a lot of high school included which is a time in my life I'd rather not re-visit. 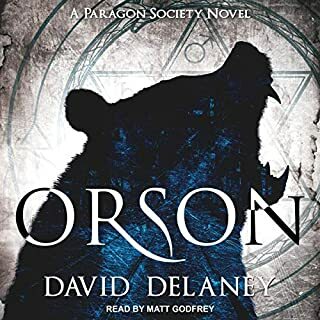 The narration is well paced and has a natural flow to it, but I found the character voices a bit over-done except for the main character Hamilton. Slumbering off into a world of our own. Believing in realms that are not really there,. Can the world really compare? Yes! Loved the story, it drew me in. Great story and narrator. I received a free review copy of this audiobook at my request and I have voluntarily left this review. 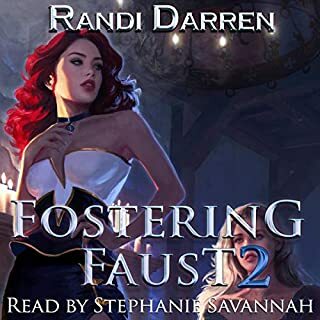 I thought I am going to listen to a sci-fi / fantasy story, but turned out it is more of a YA Teen drama, like Teen Wolf etc. The main character was so freaking annoying and moody that I hated him from the get go. If your central character who's supposed to be the "hero" of the story is so hate-able, not sure how the author expects the readers to root for him. His actions even after the main event of the book starts is pretty infuriating. I wish the characters were a whole lot more matured. Do you think Slumbering needs a follow-up book? Why or why not? It's the first of the series. There are more books in the pipeline obviously. First of all, the main character is really irritating, but I got the feeling this was absolutely intentional by the author. The story itself was pretty entertaining and kept my interest the entire time. The narrator did a fantastic job on different voices for each character and had an engaging tone. All in all, a good experience and I'll definitely look for more in the series. After the first few chapters it picked up and I really started to enjoy the book... even though the main character is a bit irritating! The narration is great! 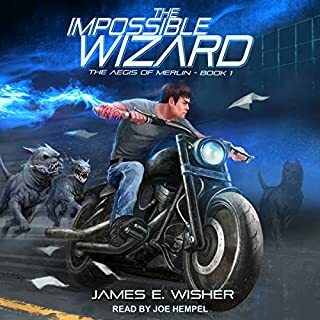 I look forward to listening to the next book in the series, especially if read by the same narrator. I received this audiobook via audiobook boom and voluntarily left this review. 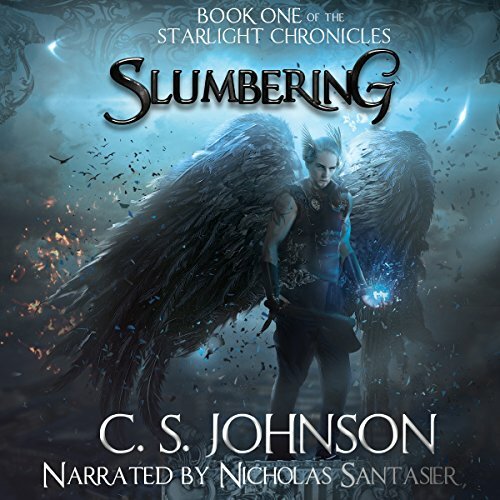 Would you consider the audio edition of Slumbering to be better than the print version? I have not read the print version yet, but plan to soon based on the audio version. It was engaging and imaginative. Have you listened to any of Nicholas Santasier’s other performances before? How does this one compare? Yes. He is always an excellent performance. It made me laugh and remember my teenage years and angst. Fantastically imaginative and engaging. Great story. The male lead Hamilton in this story drives me absolutely insane with his self centered egotistical attitude - but that is a good thing. I believe that any Author who can evoke such feelings from me must be doing something right! Nicolas Santasier is a great narrator. His characters have distinct easy to follow voices that I really enjoyed. I look forward to more in this series and from this Author &amp; narrator. What didn’t you like about Nicholas Santasier’s performance? I didn't think his voice matched this book. I am sure it would be good in other novels but just not this one. I just couldn't put my finger on what was wrong. The narrator's voice would be good in other stories but not in this one. I would have preferred a different voice. I also own the ebook before I got this.